There’s a lot of talk about company culture, and some companies are famous for building strong and thriving cultures. They even receive hundreds of unsolicited resumes from highly qualified candidates. Some even go so far as to send cakes, write songs about the company—which they then perform on YouTube—or even auction themselves on eBay (but that’s a topic for another blog post). The point is that a great company culture not only creates an environment that fosters an engaged and enthusiastic work force that sticks around and evangelizes their employer, it’s a carrot that entices the best and the brightest. So how do you build a company culture that accomplishes all that? Let’s break it down and provide some examples from companies that get it right. Hint: it’s not the free lattes or strategically placed pool tables. It goes much deeper than that. Let’s start with a brewery favorite: New Belgium Brewing Company. The brewery is famous for its Belgian-inspired craft beers. Based in Fort Collins, CO, New Belgium has a reputation for its laid back, fun-and-a-little-zany corporate culture. What would you expect from the company that came up with Tour De Fat, a bike parade featuring costumed riders as an homage to Fat Tire, its signature brew? The idea was that anyone willing to invest their career in a fledgling company and take on the risks, should also benefit from the successes. With this in mind, they distributed approximately 11 percent of the company among the coworkers. Kim also opened the books to the team, with the belief that if team members were to think and act like owners, they should understand the business of running the business. Five years ago, New Belgium became 100 percent employee owned. In addition to ownership, New Belgium gives every employee a special edition New Belgium bike on their one-year anniversary. They celebrate five year anniversaries with a trip to Belgium (inspired by the bike trip that begat the brewery). Every ten years, employees receive a four-week paid sabbatical. There’s a complimentary on-site medical clinic, as well. How do you sustain a company culture when a company sees tremendous growth? For New Belgium, a monthly all-staff meeting maintains cohesion between employees, especially for those who work in satellite markets and aren’t immersed in the culture every day. They share the meetings via live-stream. Sales team members visit the brewery on a quarterly basis, and each year everyone (more than 700 people) comes together for an annual retreat. That’s where the strategic planning takes place, with everyone’s input. It’s a two day summit where hopes and goals are put in place, as well as a deep dive into what’s happening in the overall market, and how to best keep the New Belgium momentum moving forward in a competitive market sector. New Belgium spends a lot of time and effort looking for the right people to join their organization. The vetting process is exhaustive. It took over 18 months to hire a new CEO when Kim Jordan stepped down. For this brewery, a good fit is everything, and if that means a position stays open until the exact right person is found—the person who can fully embrace the company culture, so be it. The online shoe retailer is well known for its culture. While experience and skill set are important, applicants also interview for cultural fit, which scores very highly during the process. The ten core values are firm, and every action of every employee stems from these values. Founder Tony Hsieh (pronounced Shay) described his philosophy of having a strong company culture, “Our number one priority is company culture. Our whole belief is that if you get the culture right, most of the other stuff like delivering great customer service or building a long-term enduring brand will just happen naturally on its own.” Every new hire, regardless of position, goes through a four week training program. At the end of training, they offer the opportunity to leave if the new hire feels they’re not a good fit. They get paid for the time they spent in training with a $2,000 bonus added to the total, with the goal to weed out those who aren’t Zappos material. The Zappos company culture focuses on customer service; it’s first in their list of core values. It’s not unusual for the company to send a replacement pair of shoes before the returned pair is even boxed up for shipping. And it doesn’t stop there. Zappos encourages employees to take initiative and do whatever they can to make the customer happy and satisfied. Take the story (from a Forbes article) about how Ryo Hanalei Zsun went the extra mile: “Last year, when I was working the phones, a woman called, trying to return some boots. The sad story turned out to be that she had bought them for her father, who had since died. I told her not to bother returning them; that we would refund her money but she was free to give the boots away instead of returning them. And after the call I felt moved to send her some flowers–just one of the 380 gifts of flowers you can see on the board that we sent out last year. Sometime after that, she sent me a letter and a photo of her father.” If employees do not feel empowered by their company, situations like this simply don’t happen. Across the ocean in Norway, the digital media monitoring and trend watching company, Meltwater, focuses on the values of “MER.” That’s Norwegian for “more” and the acronym stands for ‘Moro’ (Fun), ‘Enere’ (Number One), and ‘Respekt’ (Respect). Here’s how the company’s culture explained on its website: Moro: Norwegian for “Fun.” We believe that in order to become successful as a whole, we should all enjoy ourselves. That’s why we promote a fun, collaborative working environment. Enere: Norwegian for “Number One.” At Meltwater, average isn’t good enough. Our goal is to build a groundbreaking company supported by a thriving culture in which our people aspire to exceed their personal expectations. Respekt: Norwegian for “Respect.” We believe it matters how a company or an individual becomes number one. Striving to be the best doesn’t mean sharp elbows: we should all treat our colleagues and customers with respect and humility. With 55 global offices, a strong and enduring corporate culture is very important, and can be very challenging. Negative reviews from former employees popped up, causing CEO Jorn Lyseggen to take a long, hard look at the company’s culture. In an interview with EuropenCEO, he is quoted as saying, “I decided to use this opportunity as a learning experience, to scrutinize our internal policies. How we set the right expectations for people joining, our training practices and how we let people go if necessary. Whether we agree on the criticism or not, improving such vital processes can only be a good thing. There are times when you have to make the hard decision to let someone go. This can leave a bitter taste in their mouth. We accept that. 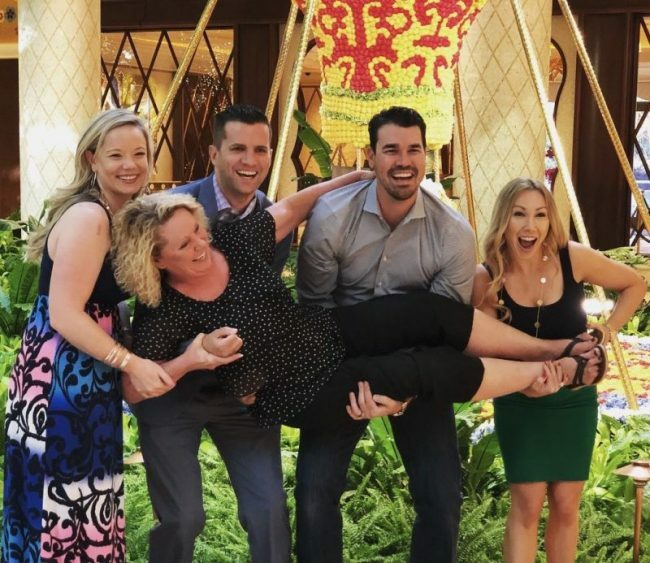 Ultimately these individuals reaffirmed our position that finding the right people will always be the key to our success.” It now ranks as “The Best Place to Work” in several countries, thanks to an overhaul of the company’s culture. Now it’s time to lean back and think upon your own company’s culture. Bring others from within your company in and have some very candid conversations about it. Let the expression be honest and heartfelt. Encourage participation from every level and talk about what’s working and what’s not. Let your team help you create a set of CVBs that they can invest in. Some of what you hear may sting a little, but the feedback you receive will help build a company culture that’s solid and enduring. This leads to happy and successful—and hopefully—long-term employees who make your customers happy. And isn’t that what every business owner wants?